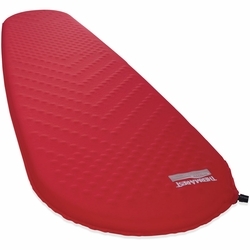 Therm-a-Rest ProLite Plus Women's Sleeping Pad. The women’s ProLite Plus mattress combines outstanding all-season warmth with the convenience of self-inflation. An upgrade to our exclusive Atmos™ Foam reduces weight and boosts compressibility to keep your winter backpack even lighter. In addition, a special pattern of our patent-pending diagonal cut foam channels deliver added warmth for women and cold sleepers, making it the ideal choice for ski touring, cold weather expeditions and winter camping. Stuff sack included.